• 2015-2016 OPEN HOUSE: 09/04 Saturday 1pm-4pm BRING FRIENDS !!! • New location 11404 SE 76TH ST NEWCASTLE minutes from Factoria, Newport hills, Newcastle, Kenny-dale, with outdoor play ground, kitchen, reading room, sketch room, and indoor activity room. • Opportunity on Monday and Wednesday to join the first year Chinese Heritage class!!! 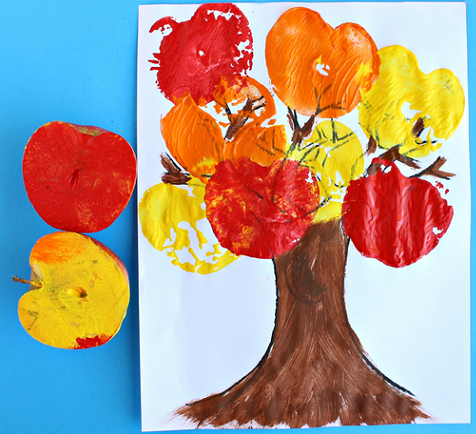 Little Hands – Parent and child engage in a series of fall themed art and craft projects to learn about color, form, and texture. Little Mind – Learn to count with apples, corn, and pumpkins. Learn the letters A,B,C,D,E and words associated, observe fall leaves and how it changes color. Little Feet – Dancing and singing to the sound of falling leaves, dripping rain drops, splashing puddles and more. Little Lips – Learn to say colors, numbers, shapes in Chinese. 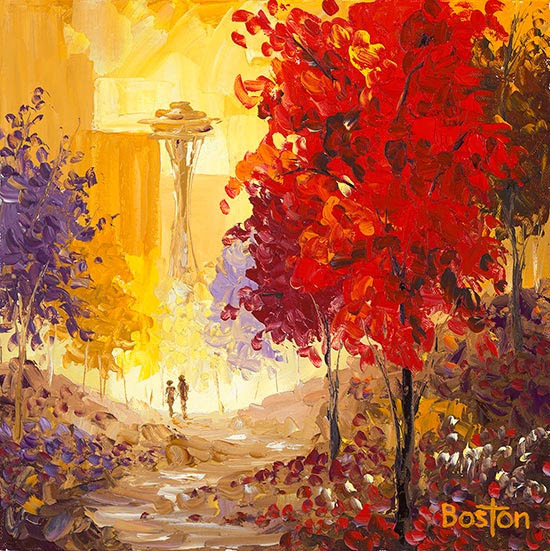 This quarter we are going to talk about color, specifically the use of red orange and yellow to create dynamic paintings. As well as how to use contrasting colors to bring forward warm tones. We will mainly work on landscape, trees, and vivid subject matters. Learn to integrate subjects with its surroundings. 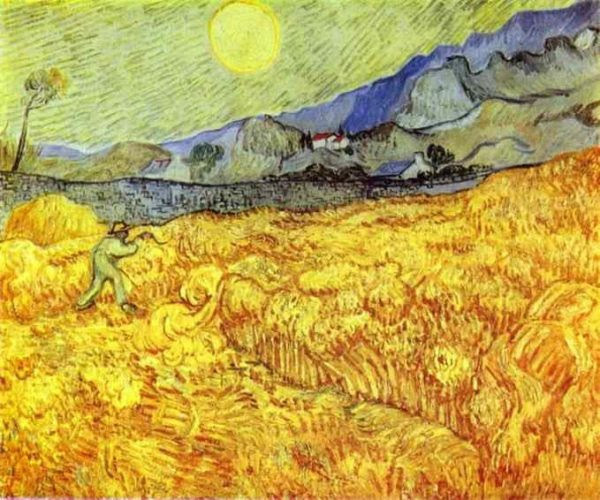 This quarter we are featuring Van Gogh as he is one of the masters in portraying fall. His painting in his later days often uses high contrasting to show emotion, he also utilize free flowing short brush strokes to show the background in motion. 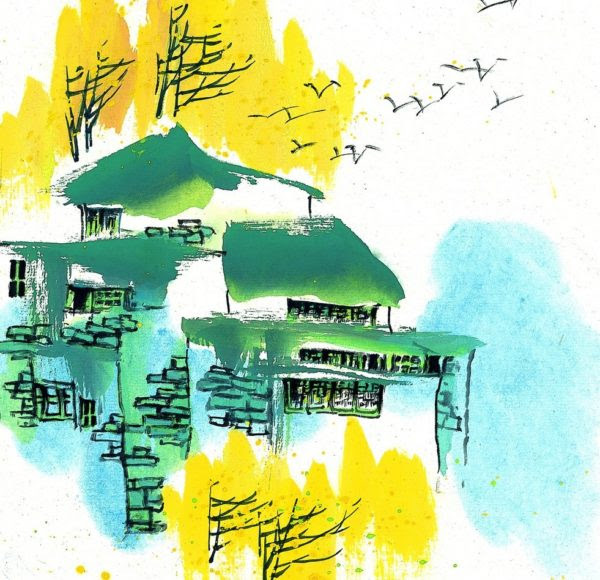 Students will learn to paint in blocked shapes, with lines, with various mediums to express how one can easily fall in love with this beautiful season. *Colored flash cards can be purchased for at home studying, home work and handouts given during each class, end of quarter presentation/tests during the last class. *Sign up now if you don’t want to miss any lessons this year, close for enrollment at 6 students. Take home worksheets and home works. Have your course materials purchased prior to class.